Up for a little abstract art, anyone? The latest images of the nucleus of Rosetta’s comet makes it look like the celestial object is a kidney. Or perhaps a bean. 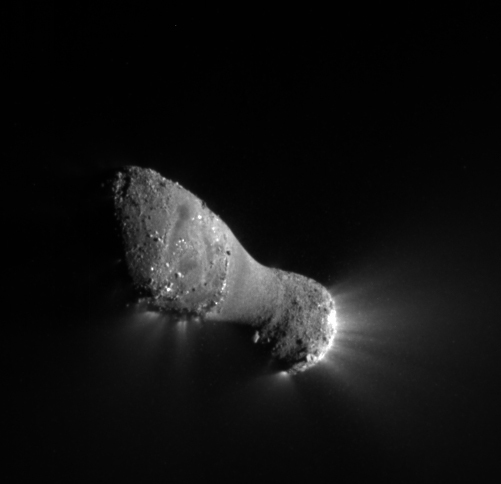 But regardless of what you “see” in the shape, scientists agree that the comet’s heart certainly isn’t round. It’s a tantalizing view as the spacecraft speeds towards Comet 67P/Churyumov-Gerasimenko for an August rendezvous. 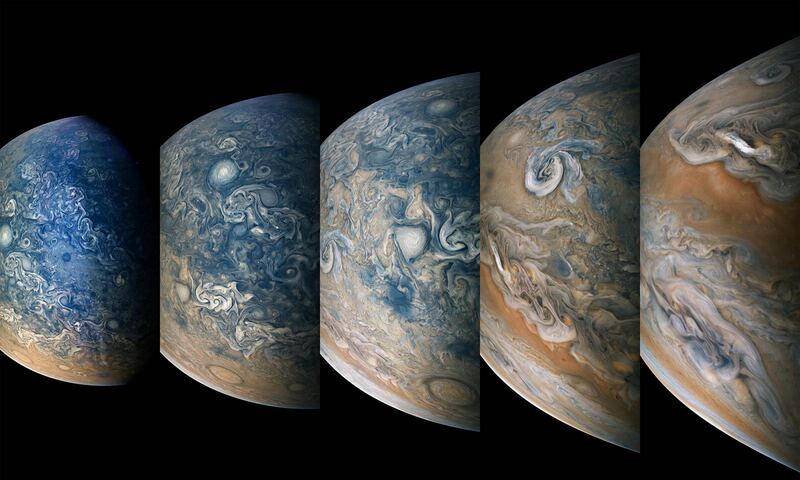 These pictures were taken just a few days ago from 23,000 miles (37,000 kilometers) away, and the spacecraft is drawing noticeably nearer every week. What will a closer view reveal? 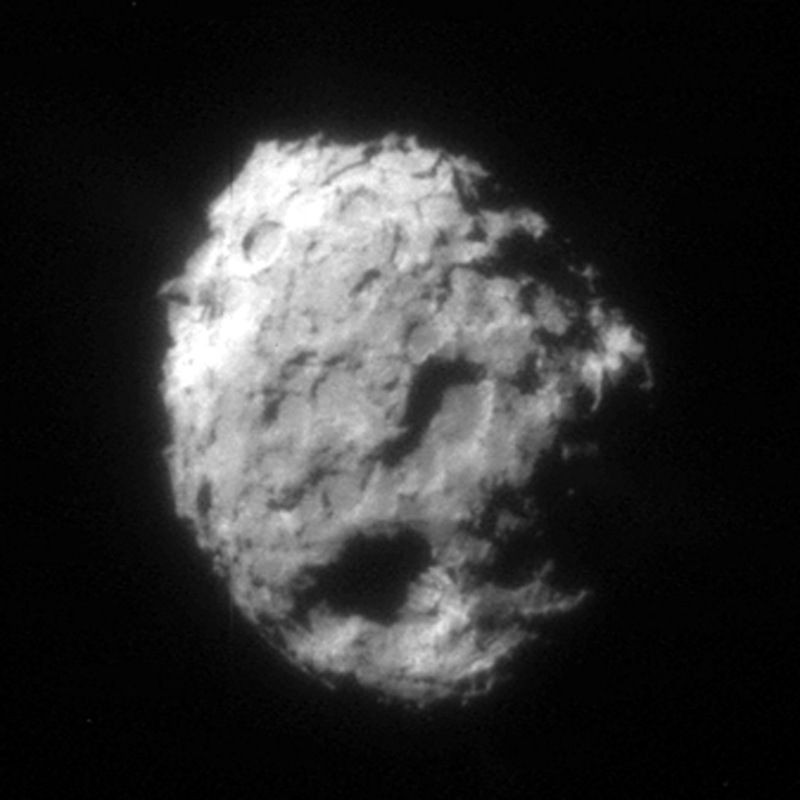 NASA’s Stardust-NExT mission took this image of comet Tempel 1 at 8:39 p.m. PST (11:39 p.m. EST) on Feb 14, 2011. The comet was first visited by NASA’s Deep Impact mission in 2005. Credit: NASA/JPL-Caltech/Cornell. Image brightened and enhanced to show additional detail. The new pictures from Rosetta come shortly after the spacecraft caught its comet tumbling through space. It’s not really known for sure what the nucleus will look like, although several artists have lent their ideas over the years. Luckily, the European Space Agency probe will give us a very close-up view of the comet, as it plans to deploy a lander called Philae to land on the comet’s surface in November. Both Rosetta and Philae successfully awoke from hibernation earlier this year and all systems appear to be working well so far as they get ready for the close-up encounter with the comet. The spacecraft have been flying through space for about a decade, and will remain with Comet 67P/Churyumov-Gerasimenko as it sweeps to its closest approach to the sun in 2015, between the orbits of Earth and Mars.